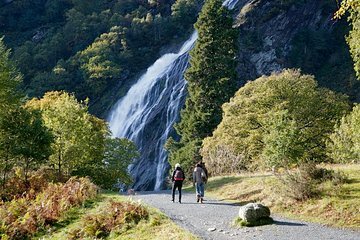 Located on the River Dargle, deep in the grounds of the Powerscourt Estate, the Powerscourt Waterfall is Ireland’s highest waterfall, standing at a mighty 398 feet. This powerful waterfall is surrounded by lush forest and plenty of space for picnicking and playing. This ticket deal gets you into this private area with no fuss, so you can take your time enjoying the waterfall without the stress of sticking to a tour company’s rigid itinerary.